The Gacha Shuttle Bus is, they say, the first autonomous bus in the world for all weather conditions. Tech agency Sensible 4, based in Espoo, Finland is a specialist in cold-weather AV technology and has provided the autonomous driving systems, with the support of Finnish cities Espoo, Vantaa and Hämeenlinna. The design is made in consideration of the users. The highlights of the design are its shape, which is friendly and designed with no front or back, the LED light belt, which is made from the combination of the headlights and communication screen, and the seating that follows the soft rounded square shape of the bus. I think a key tenet of great design is not just that it’s beautiful just for beauty’s sake, but also that it’s a functional, utilitarian design that effectively fulfils its purpose. There is no need for a driver in this bus, so why design a driver oriented vehicle? The Muji bus maximises the potential of the autonomous vehicle concept. The egg shaped exterior design with soft, rounded corners develops a friendly character with a large glasshouse and excellent visibility for passengers. 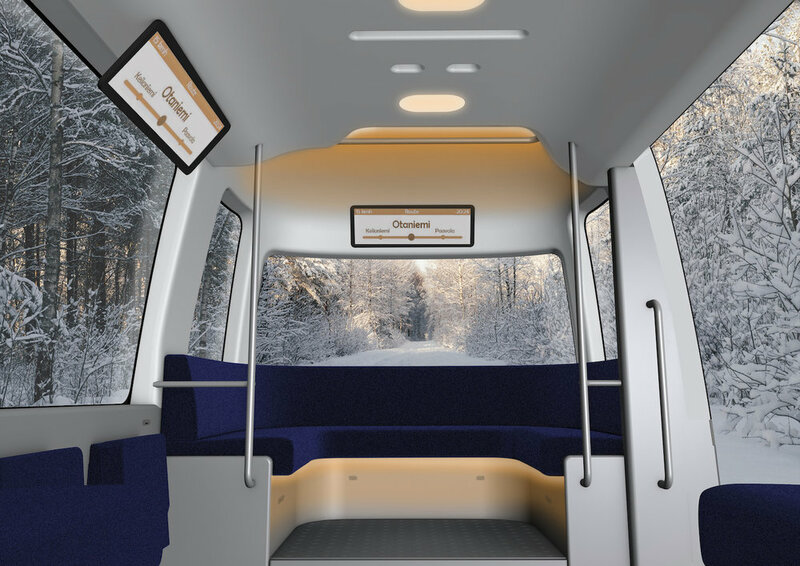 This welcoming theme is continued inside, where the lack of a driver enables space to be maximised and a moving lounge atmosphere, with a curved seating area enabling passengers to easily converse with each other. Above all, this design demonstrates the superiority of having a vehicle designed with autonomy from the outset, rather than simply removing the wheel from a conventional bus design.